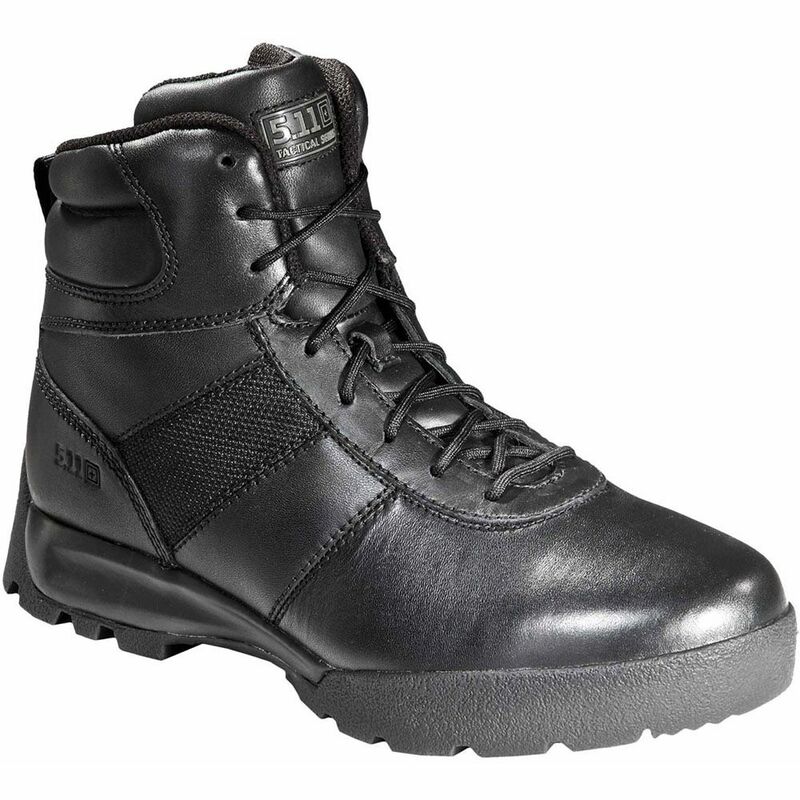 The ideal patrol footwear solution, the Haste Boot delivers high performance and comfort in a clean, professional profile. The rugged nylon upper provides breathable stability, and the full-grain leather toe presents a polished appearance. Featuring an injection-molded Phylon midsole, dual-density Poliyou cushioning, and a non-metallic shank, these boots are built to support you throughout your shift. Our Shock Mitigation System and an oil- and slip-resistant outsole offer enhanced rebound and traction, while a moisture-wicking lining keeps you cool. Field-tested and operator-approved.